On Tuesday, Danica Roem’s victory in a Virginia house of delegates race made her the first-ever out transgender person to be elected to a state legislature. 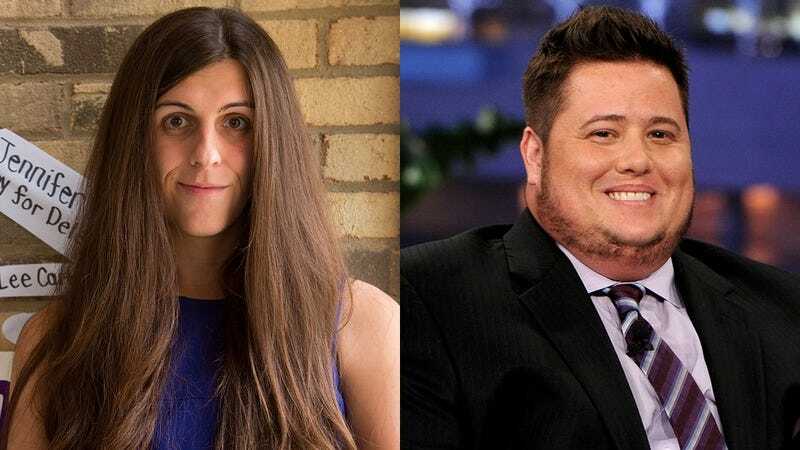 Despite the obvious representation win this gives transgender people everywhere, her victory seems to have taken on a whole new meaning among transgender teens, because now that Danica Roem has been elected, trans teens finally have enough role models to stop acting like Chaz Bono is cool. Wow! This was truly a groundbreaking election! After hearing the news, trans teens across the nation were finally given the option to take down the only poster of Chaz Bono that’s currently sold in stores, showing Chaz clearly photoshopped to be riding a Harley-Davidson that trans teens were pretty much forced to think was cool at one point. Roem’s election victory marks the first time that transgender teens will no longer feel obligated to write down Chaz Bono’s name for a school project about role models and then struggle to come up with ways to paint him as a particularly dashing person. Incredible. It’s so nice to see that trans teens will no longer have to see Chaz Bono as a cool person unless they really want to. And congrats, Danica!